Claire and I are getting together this evening to work on this presentation, so it got me thinking about what is the most important information to include. It seems impossible to fit everything that can be said about music therapy into a 45-minute presentation, but we will do our best! Why is music an effective therapeutic medium? – Music is organized into patterns. Research has shown that when the brain takes in information, it prefers it to be in an organized, structured form, rather than discrete bits of information. – Music provides concrete, multisensory stimuli. Musical instruments such as the ocean drum, cabasa, tone bars, and drums provide unique visual, auditory, and tactile stimulation. – Music has a rhythmic component. Rhythm can be used to structure movement patterns, accent specific words or sounds, and help sustain a client’s attention throughout the therapeutic intervention and session. perceptual preference for music. 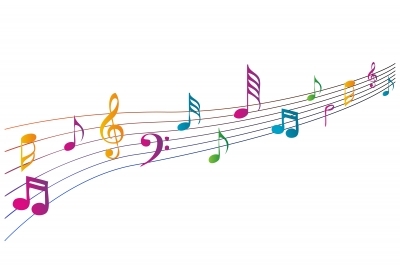 Music is our way ‘in.’ Music therapists can use music to engage children with autism so we can work on other skills, such as joint attention, expressive language, or socialization. – Music can be used as a mnemonic device. “Chunking” (grouping information into smaller units) and repetition in songs allow non-musical information to be remembered and recalled more easily. – Musical elements can cue specific behaviors. For example, high notes on a piano can cue a child to play their shaker high; low notes can cue the child to play low. – Music is universal. Music crosses boundaries of age, gender, and culture. Nearly everyone responds to music in some way. – Music is a fun, motivating medium! The music and the upbeat rhythm are what motivate the children to be engaged and participate. OK, so I’ve been away from your blog way too long and missed seeing this when you posted it in January. I love this! 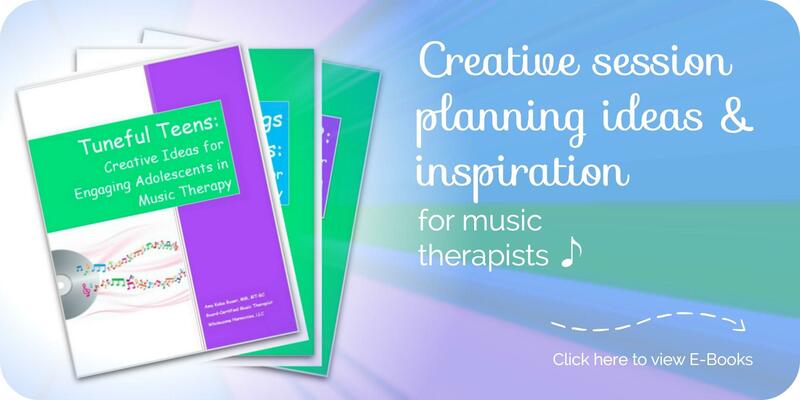 Happy to pin it in Pinterest and share it with my music therapist clients, too! Thank you! Thank you so much Tamara! I appreciate your support and you sharing it with others!